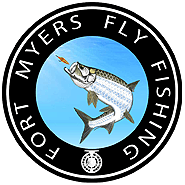 Here are our Fort Myers Fly Fishing reviews. To them easier to read then use the the page buttons above to display a few at a time. Had a great time on our half day afternoon charter. Caught lots of Spec Trout and enjoyed the warm weather! Capt Eric did an excellent job! I have been a serious fly fisherman all my life and really wanted to catch a big Snook on a fly rod. I had tried several times before with other guides but they really didn’t understand fly fishing or fly fisherman. Capt Eric was unbelievable, he described the area we were going to fish and how he wanted me to retrieve the fly. When we got to the spot, He said “cast right there” and on the second cast BANG I hooked and landed this giant Snook of a lifetime. I swear he thinks like a fish, we caught several more Snook that morning. If you’re a serious fly fisherman book Capt Eric, I’m sure glad I did! We went on our first night fishing charter with Capt Eric Anderson and had a great time. He worked very hard to help two rookie fisherman catch fish. Capt Eric has to be the worlds most patient teacher. We finally got the hang of it and caught some nice Snook! We saw a ton of fish and had we been better fisherman we would have caught a bunch. Can’t wait to book our next Fort Myers Night fishing charter with Capt Eric, he is a real pro and fun to be in the boat with. I had to leave a review for Capt Eric. My wife and I booked a charter for Tarpon last week and we both caught our very first one 🙂 Capt Eric was very helpful and really put us on the fish, we saw Tarpon rolling the entire 4 hour charter. We called other Ft Myers Fishing guides and they told us that Tarpon fishing was over. When we called Capt Eric he said no problem and took the time to even contact us by email to make sure we knew where to meet him. Very personable and knowledgeable, would give him 6 stars if we could. I took my first ever saltwater fishing charter with Capt. Eric Anderson and I ended up catching a nice snook and a big Jack all in about an hour. I also did it at night with help from Capt Eric. It was a great time and now I’m really hooked on saltwater fishing. Best of all I did it on a fly rod! Fishing with Capt. Eric was a great experience. I wanted to catch some Snook — and Eric hooked me up! I also learned some new tips and tricks from him and really appreciated his knowledge, it was an added bonus to the day. It ended up being a great ‘personal’ day on my family vacation where I could do something I wanted to do! Thanks Capt Eric for a great trip! My wife and I came down to Fort Myers for our honeymoon. Just to break the routine, we decided to do some fishing with Captain Eric Anderson. I caught a nice Snook right away! Capt. Eric is great company and will put you on some on good fish. My wife caught a beautiful snook, the biggest fish she ever caught! Captain Eric is honest thus he gets a full throated five star review. Here is why. We contacted Eric about a night fishing trip about a month before the date in June. Four days before our trip a tropical storm hit. Eric promptly called and let us know that the night fish wouldn’t be the best idea as thunderstorms were still drilling the area. We said ok and he moved us to a Friday morning fishing trip. Now here’s the HONESTY. I’m flying down to Florida. Captain Eric pre-fished all the spots we were going to go on the Friday morning trip. Not a single bite. He spent six hours checking the holes for us. Landed to a message from Eric. And his recommendation? Cancel the charter, save your money, don’t fish. We did everything we could to convince him to fish. Save your money. Friday morning? Thunderstorms, thunderstorms, and more thunderstorms. Hotel had a fishing pond. Even those fish weren’t biting. That’s honesty. He could have easily given us a $400 boat ride; what would we have known? He didn’t. If the man fishes they way he conducts himself; well, you’re in for a darn good fishing trip. Honesty matters and I appreciate the work that Captain Eric put in to tell us not to fish. Tells me the man can really catch them when they are running. This was the second Fort Myers fishing charter I’ve taken with capt Eric. My wife and I had a great time and we both caught some nice snook and I caught my personal best. Thanks to Capt Eric I have been able to cross several species off my bucket list, especially the big Tarpon I caught 2 years ago. Capt Eric coached me during that fight and I believe I would have never landed that big fish with the advice. We will fish with him again and highly recommend him, he really makes sure that you have fun.